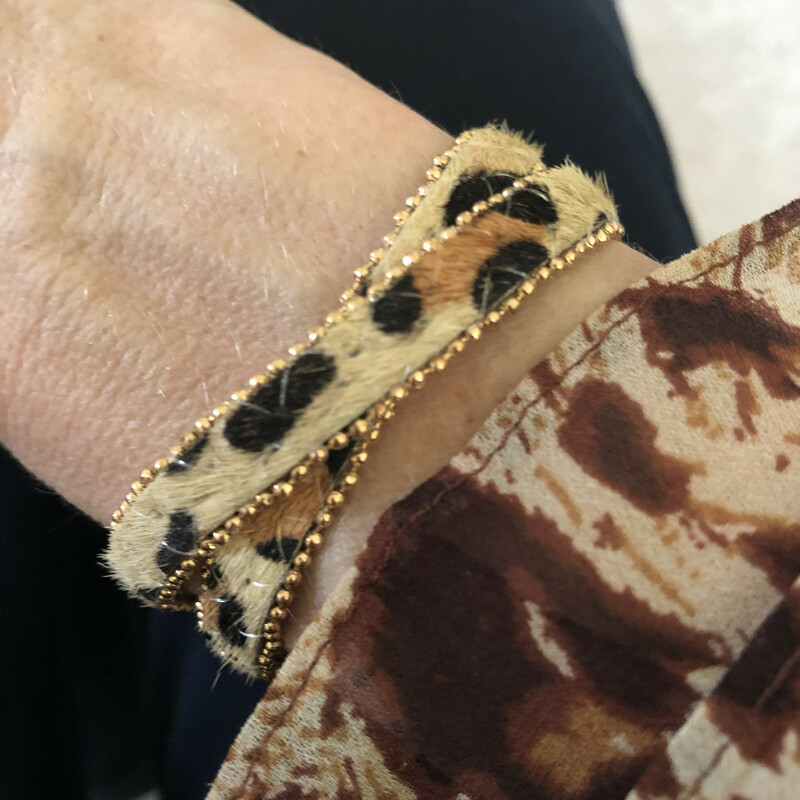 Simple but effective wrap bracelet in popular leopard print. For smaller wrists in my opinion! Available in original leopard or dark grey. Featuring 2 poppers, total length 34cm, first popper at 31cm, 2nd at 33cm.